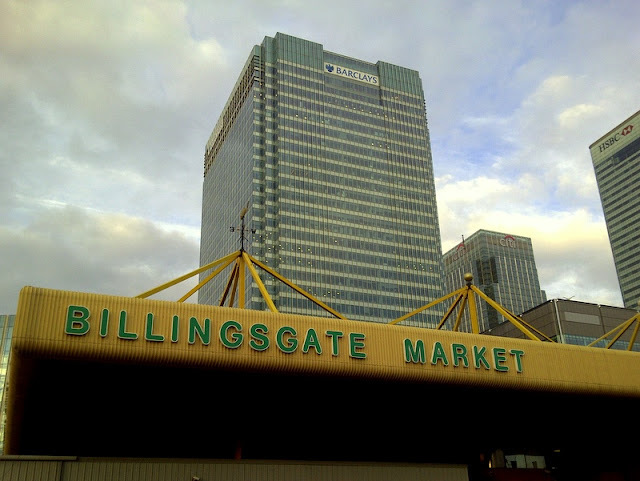 If you like fish, one day you have to go to Billingsgate Fish Market. We went recently with friends and now we have a freezer filled with more fish than I know what to do with. And an octopus. The market is geared towards the restaurant trade, so it's an early start and things are sold by the box-load, but if you ask, most people are happy to let you have more home-friendly quantities and you still get to take advantage of the wholesale prices. Make sure you bring a couple of bin liners to line the boot of your car though - the packaging can be a bit rough and ready! Before you leave, reward your early start with breakfast at Piggy's Cafe. You can get all of the usual greasy spoon stuff, but when you have the chance for kippers or a bacon and scallop bap, it would just be silly not to take it. The market is closed Sunday and Monday. NB the market is closed on Tuesdays following a Bank Holiday Monday. Billingsgate also runs courses to show you what to do with your fish once you've bought it.